Looking for great tree surgery services in the St Andrews area? Want to benefit from years of experience in the field? 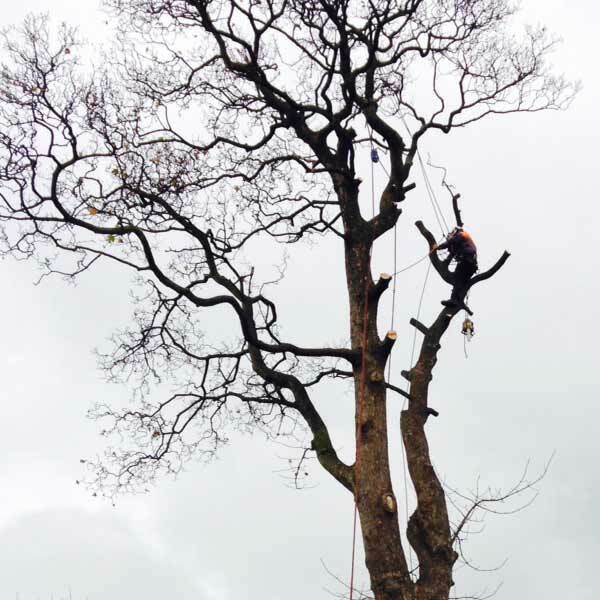 At Ptree Surgery & Groundworks, we have a professional, friendly team of tree surgeons who offer excellent advice and a great range of tree maintenance services. For domestic properties, and commercial properties and estates on request, we provide tree felling, tree removal, planting, pruning and even stump removal and grinding. This keeps trees in great shape and disease free, ensuring that your garden looks great and helps you make the most of your outdoor, natural environment. Hiring your local arborist is a decision that should not be taken lightly says St Andrews based Jim Petrie of Ptree Surgery. Arborist Jim is trained in the art and understands the science of planting, caring for, and maintaining the trees on your land. His company Ptree Surgery and Groundworks bring to you a knowledgeable team who understand about the needs of trees and are trained and equipped to provide proper care. How Much Does It Cost To Cut Down or Fell a Tree? There is no one cost fits all price for cutting down or felling a tree. The larger the tree the more difficult it is to work on and the longer it could take to cut down the tree. Get in touch with your local Tree Surgery Expert in Fife Jim Petrie who will visit your premises to first of all look at the tree or trees you need cut down. Jim will provide you with a free quote for him and his team to come and cut down your trees using best practice techniques and can also offer sound advice on the care and maintenance of other trees you may have. If your needing your landscape to flourish and you want someone to address your tree care concerns, Ptree Surgery can help keeping your trees expertly maintained with their tree trimming and tree pruning services. Proper pruning enhances the beauty of your trees, shrubs, bushes and hedging. Pruning, like any other skill, requires knowing what you are doing to achieve success and that is why you should call Jim Petrie and his team at Ptree Surgery first. Don't just simply take a chainsaw or handsaw to the trees and bushes that adorn your landscape. You don't want to kill or ruin your trees and hedges from improper pruning. Our tree trimming and pruning service is about pruning or removal of certain plant parts that are not required and are no longer effective. And the job of tree trimming or pruning your bushes is to supply energy for the future development of a trees flowers, fruits and limbs.